From version 8.9, Icewarp uses strict UTF encoding. This article shows how to convert from old encoding to UTF. Locate the file convert_user_data.html in the following directory : Icewarp>/html/admin/tools/. Rename this file to convert_user_data.php. Open this file using the Icewarp WebServer. 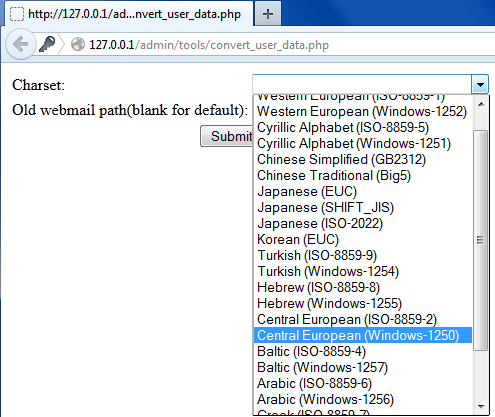 Select the charset of the source data from the dropdown list. Press the Submit Query button. The script will now convert your data. We recommend that you rename the script back to convert_user_data.html after you run it for security reasons.